The 24-year-old singing sensation from Odisha, Sniti Mishra had made every Oriya proud by entering the finals of the popular TV reality show Sa Re Ga Ma Pa: Singing Superstar last year. With her performance at the Kolkata audition, she floored the judges with a rendition of Nusrat Fateh Ali Khan’s Mora saiyan to hain pardes, which saw her through to the Mumbai audition. In the mega audition at Mumbai, Sniti serenaded the soulful track Hume tumse pyar kitna, from the movie Kudrat, in her unique style that impressed the judges instantly. She also received an encouraging feedback from the show’s judge, music composer Sajid Ali. 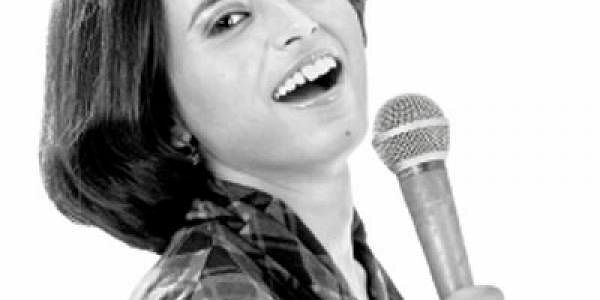 Though she did not make it to the final, Mishra won the ‘remarkable voice of the series’ award in the grand finale. Raghunath Sahoo is the person responsible for my classical rendition. My mother Sabitanjali Udgata and sister Swati Mishra mentored me at every stage of my life,” she says. Mishra says Sa Re Ga Ma Pa gave her the opportunity to meet stalwarts like AR Rahman and Vishal Bharadwaj. At present, as per her three year contract with Artiste Management Group (AMG) India, she is performing in live concerts in Mumbai. One of her recent performances was at Blue Frog, Mumbai, where she collaborated with the international band, Mynta. opportunity in playback singing. I always look up to Begum Parveen Sultana, Sunanda Pattnayak, Kishori Amonkar and Shankar Mahadevan. As a long term goal, I would love to see myself in similar places like them.” Mishra can now concentrate on singing as her studies is almost complete.